LORENTZ is most reliable software program for the accurate design and analysis of electric and magnetic components that involve electron guns and ion guns. Typically, electron guns and ion guns are first modeled with LORENTZ 2D-E (i.e. 2D electric analysis program) in either RS or 2D mode to get the initial emission and focus characteristics. Analyzing further along the beam path may require an electric-magnetic coupled version LORENTZ-EM. LORENTZ 3D-E is best to model grids that require a full three Dimensional (3D) analysis. 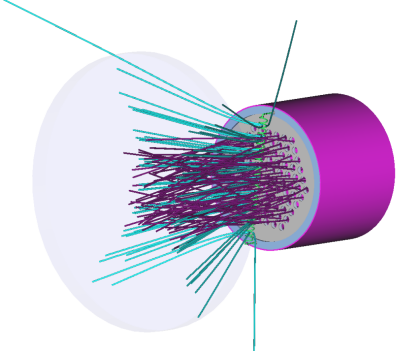 Precise calculation of ion beam trajectories are done by our proprietary Boundary Element Method (BEM) solver. Finite Element Method (FEM) solver is incorporated as well to provide choice of both methods. 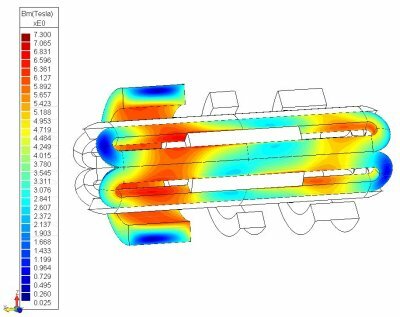 This hybrid approach uses the strength of each method while designing an electromagnetic system.